What vaccinations are required for my dog to attend Puppy’s Playpen? We require the Bordetella, Distemper/Parvo and Rabies vaccines for your dog to visit us at Puppy’s Playpen. We do not require the Canine Influenza vaccine at this time. Does my dog need to be spayed/ neutered? All dogs must be spayed or neutered by 7 months old. Dogs can show behavioral changes when they hit reproductive maturity. My dog is scheduled to board. What do I need to bring from home? We only suggest you bring their own food in a baggie or container that will fit in their own 12″ by 12″ cubby. We cannot accept own bedding, toys, bowls or chews to prevent outside parasites/pests from entering into our facility. Our facility provides all bowls and comfortable bedding throughout their stay. What if I really want to bring their own bedding? 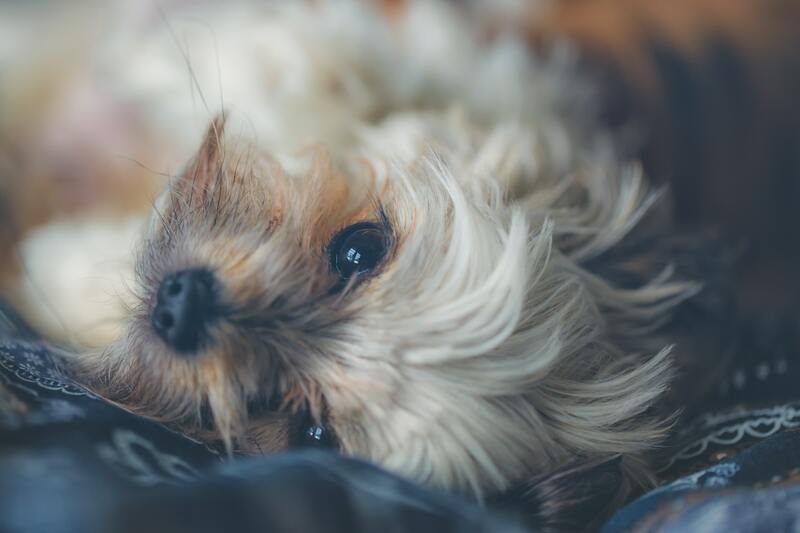 We understand that you want peace of mind when providing your dog with comfortable bedding, and that is why we do everything we can to make sure each dog has cozy, clean bedding at night. We treat each dog like they were our very own, because comfort is important to not only the dog but for the owner’s peace of mind! Yes, all services require a reservation so we can monitor our overall dog count. Safety is our top priority, so preventing overcrowded play groups is the key ingredient for your dog to be safe and happy! We recommend you make reservations on our website. You should receive an email notification that your reservation was received. We will make sure to reach out to you only if we have any issues/questions regarding your reservation. Do you accept pit bull breeds/ pit bull mixes? Unfortunately, due to city restrictions, we cannot facilitate any pit bull breeds/ pit bull mixes. If my dog is aggressive towards other dogs or people, can they still visit Puppy’s Playpen? Daycare is not for every dog, and that’s okay! We require a trial day of daycare for every new dog to assess their behavior with the daycare group and staff. To ensure the safety of our staff and other dogs, we cannot facilitate any aggressive dogs at Puppy’s Playpen. During their trial, we will report to the owner of any issues or concerns that would prevent them from staying at Puppy’s Playpen. We will be more than happy to help you find the perfect place that fits their needs! Is there a discount for an extended board? Yes! If your dog stays with us for 7 nights or more, a 10% off discount will be applied to the boarding cost. Where do the dogs stay when they are in daycare or boarding? We have three separate play groups in our facility that embody different environments and play styles so that each dog can feel comfortable during their stay. Each dog is evaluated on their energy type and play style where we decide the best play group for them to be happy. Boarding dogs are in daycare throughout the day with other daycare guests until 8:30 PM where we go out for the last potty break before crating for bedtime. Most days, dogs will be tucked into their cozy kennels by 9:00 PM. How do you feed breakfast and dinner? We feed breakfast to all boarding dogs right before their first potty break of the day. We feed every dog separately and document how much each dogs eats for each meal. At night, we feed each dog their dinner separately and document feeding as well. Where/ when do they go out for potty breaks? We have a side-yard off to the east side of our building where dogs can have their potty breaks. We usually let each group out every 3-4 hours, for about 30 minutes at a time depending on weather conditions.